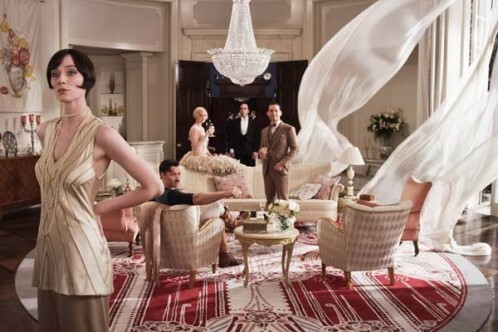 Congratulations to Set Decorator Beverley Dunn SDSA and Production Designer/Producer Catherine Martin on their Academy Award for Outstanding Production Design for the film THE GREAT GATSBY! "What was amazing to me was the storytelling in the sets. 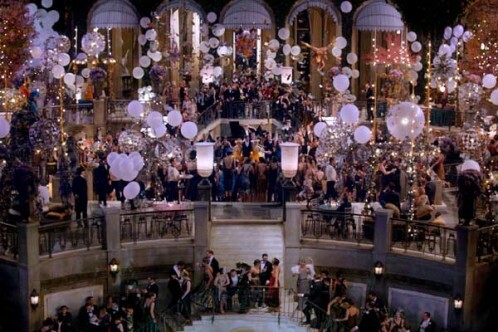 I would notice certain elements that were incorporated into the set, and everything felt so authentic, it made it easy to believe it was real…” …reveals actor Tobey Maguire, who plays key figure Nick Carraway in Baz Luhrmann’s cinematic retelling of F. Scott Fitzgerald’s classic novel THE GREAT GATSBY. The compelling visual representation was a collaboration between Lurhmann, his producer wife Production Designer Catherine Martin and Set Decorator Beverley Dunn SDSA. This Jazz Age cocktail takes us from the hot, gritty, bustling streets of NYC…to the lusciousness of Long Island, the playground of the rich…and into the Valley of Ashes, the dusty wasteland in between. Carraway is drawn into the captivating world of the super rich, renting an island summer cottage, which is dwarfed by the colossal mansion next door owned by the mysterious Jay Gatsby [Leonardo DiCaprio]. 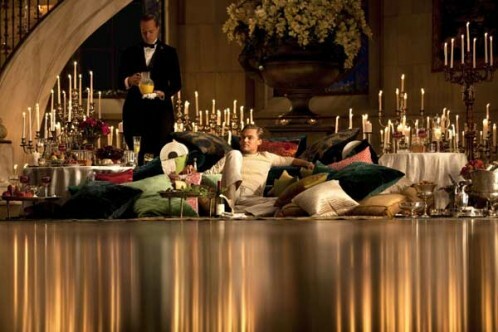 “The ephemeral fantasia that is Gatsby’s,” describes Martin, is the ultimate representation of new money. The Buchanan estate symbolizes the ancestral wealth of many generations. Martin designed and Dunn decorated the grand manor as an example of the American aristocracy, showcasing a family of unbelievable wealth. Other sets include a suite at The Plaza Hotel on a sweltering day, and the industrial wasteland that has to be transversed to get there, complete with a filling station & garage, abandoned equipment and a disused train yard, all overseen by a gigantic billboard with the ever-watchful eyes of Dr. T.J. Eckleburg, Oculist. There is also a prominent speakeasy representing the seedy back story of the prohibition era, Daisy’s early family home in the South, and Nick’s psychoanalyst’s office and asylum. Photos courtesy of Warner Bros. Pictures ©2013 Bazmark Film. Foyer photo by Matt Hart ©2013 Bazmark Film. All Rights Reserved.